We have been busy learning about all kinds of seeds. Large seeds, small seeds, fruit seeds, vegetable seeds, and flower seeds. Today we spent the last part of the day exploring coconut seeds. I brought in a coconut, some bottled coconut water, and lots of tools to crack the coconut open and to cut up the coconut meat. We began by passing the coconut around. We touched it and shook it. Then we drew a picture of what the outside of the coconut looked like. Then we predicted what the coconut would do when put in a container of water. Would it sink or float? Next we headed outside to see what would happen. Yes, it floated!!! We recorded the results. Then I poked a hole in the coconut and drained out the coconut water. Since the water that I drained out of the coconut was full of bits of the coconut shell, we tasted the bottle coconut water instead. Then I hit and hit and hit the coconut with a hammer. Finally it cracked open. Then we drew a picture of what the inside of the coconut looked like. Last we tasted a small piece of the coconut meat! Everyone really enjoyed exploring coconuts! 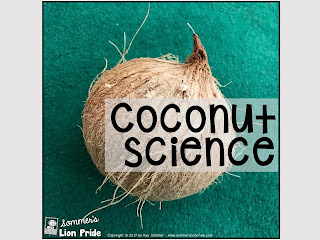 I just added the Coconut Science sheet to my freebies. 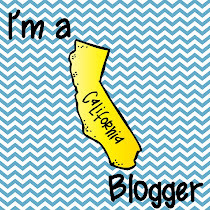 Click below to grab it.